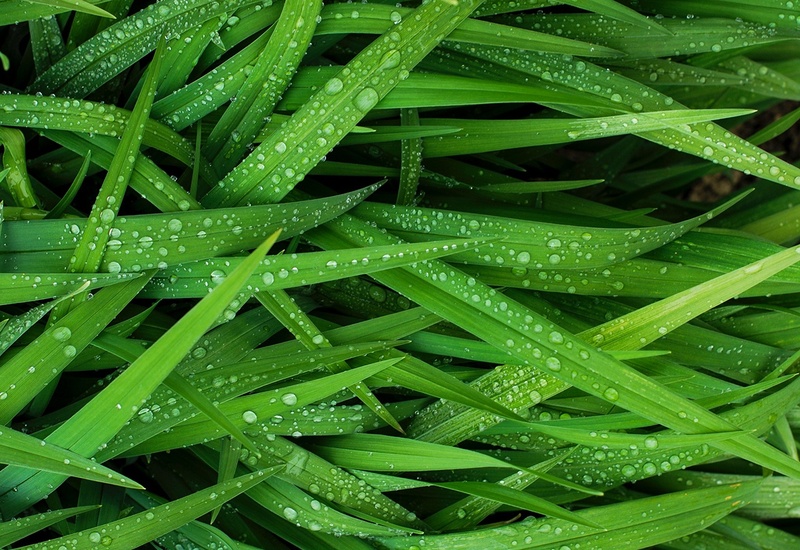 Without a doubt, one of the biggest factors in the quality of your lawn is its grass varieties. No matter how much fertilizer you add, you just can’t make older, weaker grass types as tough, or attractive as newer varieties. If you want to have a beautiful lawn, it pays to invest in the best quality grass seed. The premium grasses we use are more durable and perform much better in the heat, as compared to other varieties. This allows your lawn to be greener, more weed-resistant and capable of handling everyday wear and tear. Our Good Grass Promoting Promise. We Only Use High Quality Grass Varieties that Will Perform for You. 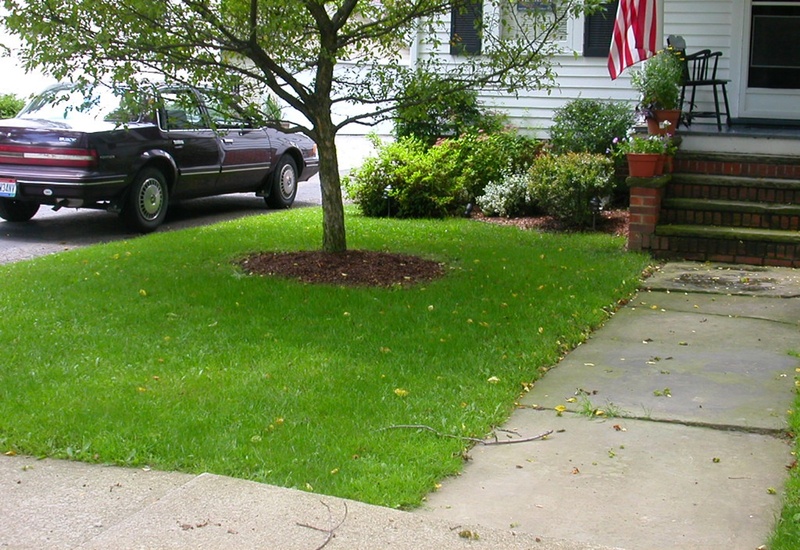 The best type of grass for your lawn depends upon where you live. 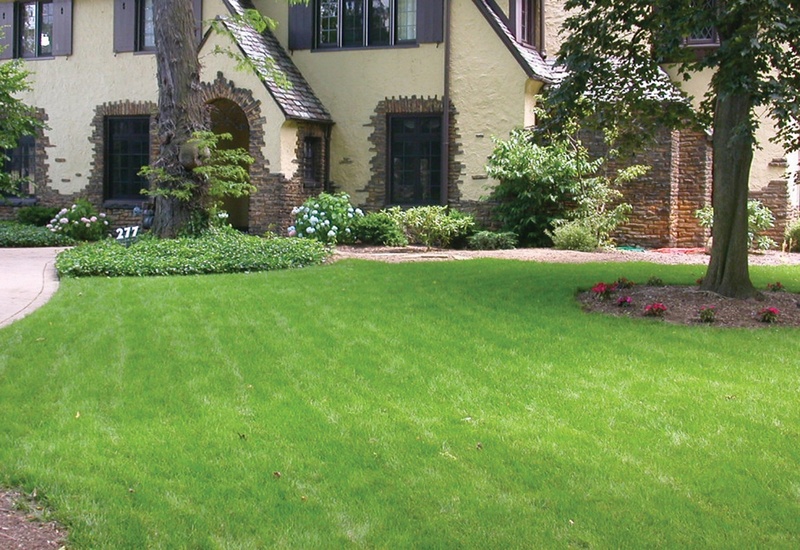 In general, throughout most of the Midwest, we recommend a blend of Turf Type Tall Fescue. Tall Fescue requires less fertilizer and water than other grass types and is also more resistant to many insects and diseases. Certain types of grasses just can’t take the heat. No matter how much water you apply, they turn brown, lay flat and look dead. 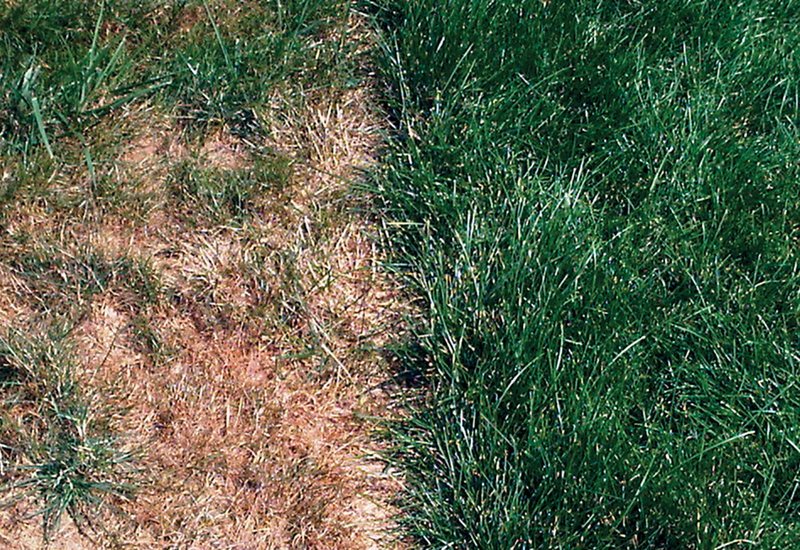 Some of the most common problem grasses include Rough Bluegrass, Creeping Bentgrass, and Fine Fescue. Your lawn technician will let you know if they observe any of these or other problem grasses and discuss with you the best way to handle them. 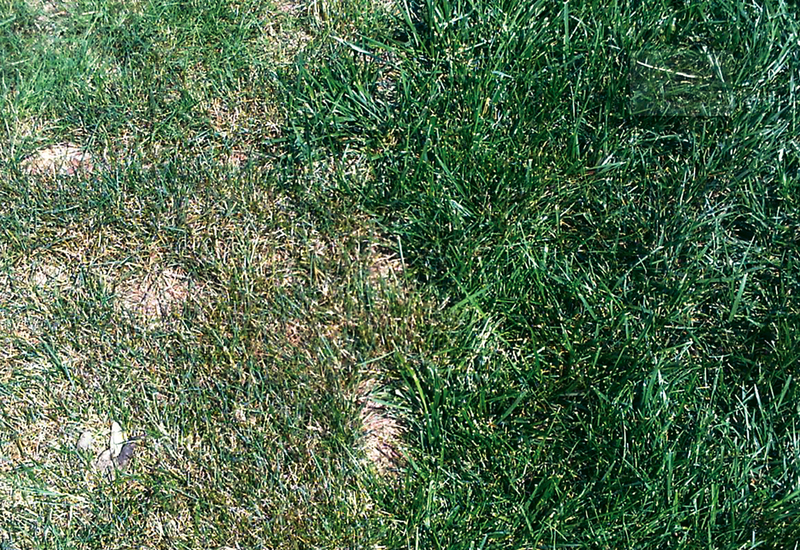 If your lawn is exposed to sunlight and full of problem grasses, such as Rough Bluegrass, Creeping Bentgrass, and Fine Fescue, it will be brown for much of the Summer and infiltrated by annual weeds. If that is ok with you, then there is no need to do any seeding. 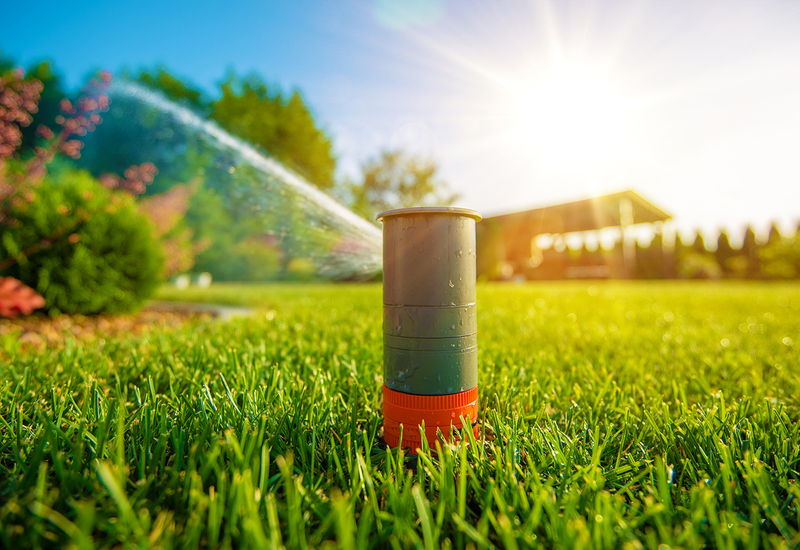 If you would prefer your lawn to look healthier and greener, you might consider replacing it with tougher modern grass varieties to get a fresh start. Call us and we can help you figure it out. One of my neighbors was taking a walk past our lawn with her sister from out of town. Her sister exclaimed, 'Oh my goodness! Look at that lawn! I HAVE to walk in it.' She slipped off her sandals and did just that. Another neighbor saw me playing with my dog in my front yard. She came over and told me that whenever she walks past my lawn, she wants to lay down and roll in it. I said go ahead! So her and my dog rolled on the rich green lawn and had a wonderful moment. If your lawn thin without problem grasses, Slice Seeding might be a great way to breathe new life into it. Regularly Slice Seeding with tougher grass varieties will help your lawn fight weeds naturally. 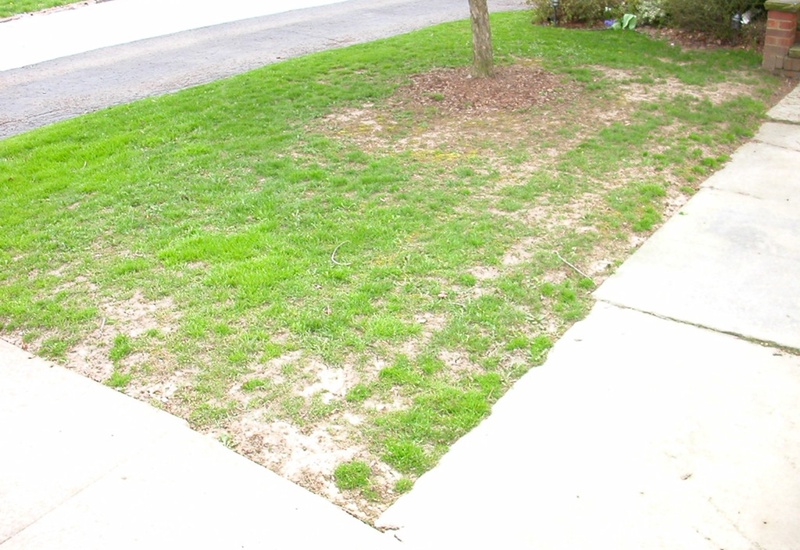 Slice Seeding will not give you a new lawn, but it will help your existing lawn look better and be healthier. I wanted to give feedback on the Slice Seeding service my lawn received from Good Nature. My lawn is among the best I've seen. I've only had to water it once this Summer and the lawn is green and thick, with no bare spots, unlike the other lawns around here. I have very few weeds to pull because the lawn is so thick. I think the lawn is so good because I have the right grass type, mow high, and the Grub, Compost and Fertilizer Treatments you provide really help! If you don’t mind a little variety in your lawn and would like to keep it greener without as much fertilizer and water, Microclover might be a great choice for you. Our Microclover seed is a special cultivar of White Clover that tends to flower less and have smaller leaves, if mowed regularly. 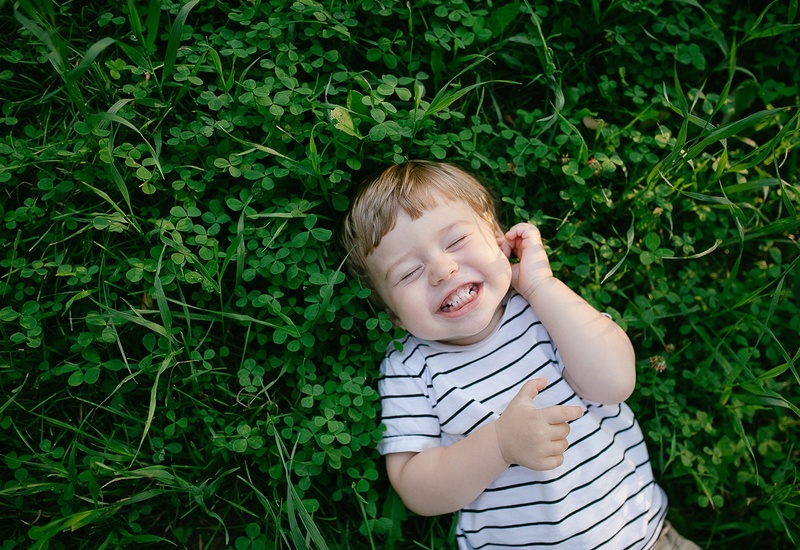 There are many benefits to having Clover in your lawn. It is more tolerant of heat and drought conditions than grass. It is also tolerant of insects and needs less fertilizer. 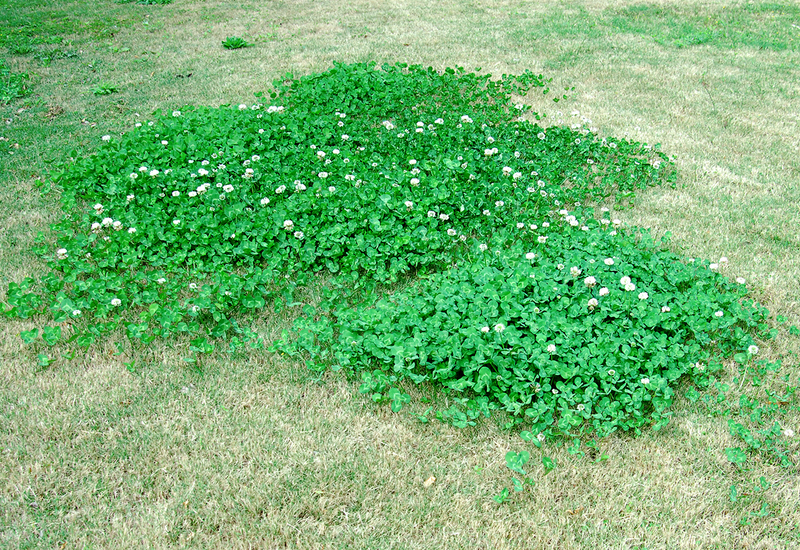 In some cases, a well-managed stand of clover and grass will help crowd out other unsightly weeds. My lawn was thin and brown. I needed to put a lot of fertilizer, just to keep it alive. And I don't have to do that quite as much with the clover. It's always green. Clover on my hill is not a weed. It's doing what it's supposed to do. I get a few dandelion plants but they get choked out and I don't have to use broadleaf spray anymore. The couple of weeds I get in there don't last very long because the Clover takes care of them. 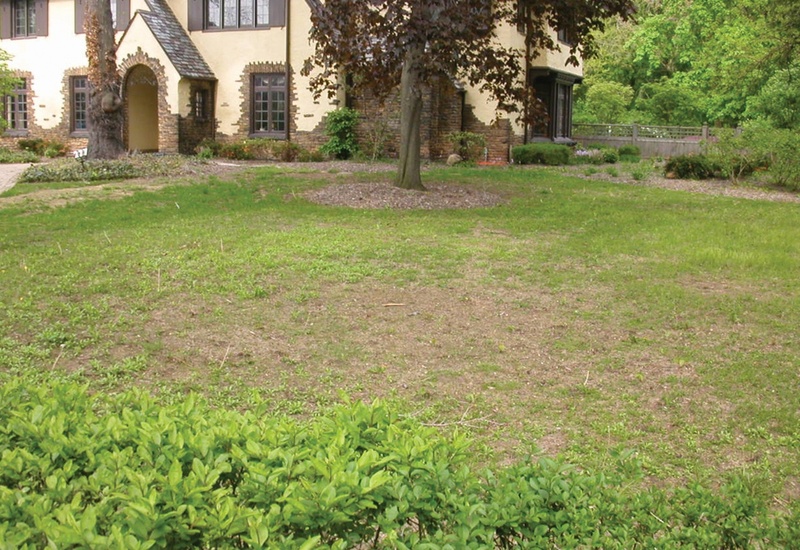 Is your lawn a patchwork of problem grasses? Want it to look greener, more uniform, and less weedy? 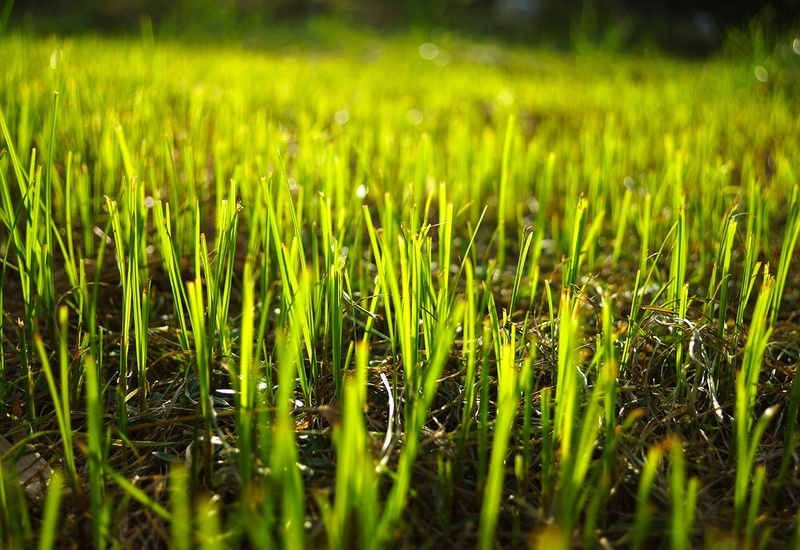 Slice Seeding your lawn with tough, modern grasses is a great way to improve its appearance and fight weeds, naturally. 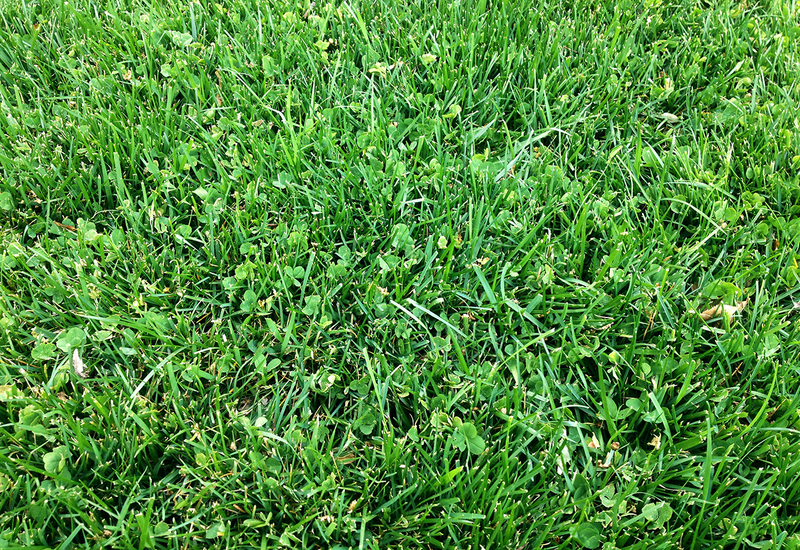 Add Microclover to your lawn to keep it greener with less fertilizer and discourage weeds like dandelions, naturally.